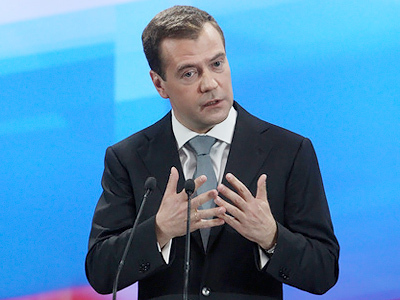 The abuse of law in international relations is unacceptable, Russian President Dmitry Medvedev has stated, speaking at the International Legal Forum in St Petersburg. 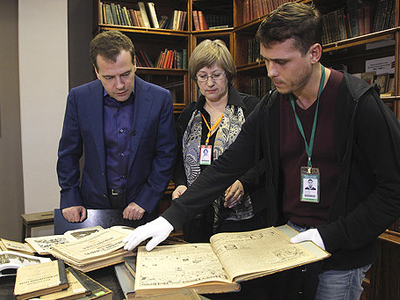 “We should remember the unacceptability of the abuse of law in international relations,” Medvedev said, adding that sides should respect mutual interests. Every person is connected with one's state – no matter where that state is – by a large number of legal relations. “Any enforcement actions and especially the extradition of this person to a third state can only be carried out with due consideration of one's citizenship; no other way,” the president stressed, opening the International Legal Forum in Russia's northern capital, which brought together lawyers and businessmen from all around the globe. 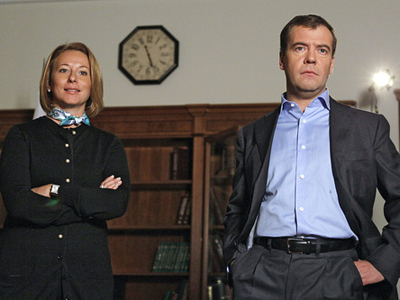 Medvedev also warned against attempts of one country to spread its jurisdiction over other states, in other words “turning national jurisdiction into global”. The harmonization of legislation cannot be substituted by the direct spread of rules from one state on to the territory of another. The president pointed out that “we all have our own history, our own ideas of what justice is, and our own traditions.” He stressed that there are international courts in the global legal sphere and their potential “is not exhausted”. 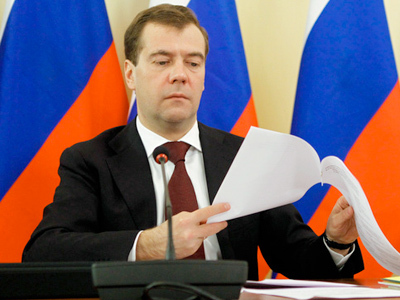 According to Medvedev, a thesis that one legal system is better or more transparent than another is absolutely wrong and “alarming”. The president believes that the future of all countries, including Russia, depends on the quality of their legal institutions. "Improper law enforcement procedures, lack of respect to court and corruption are a macroeconomic factor that holds back improvements in the national welfare," he said. "Issues of modernization and improvement of the legal system are a mandatory element on the agenda for the creation of a safe world." 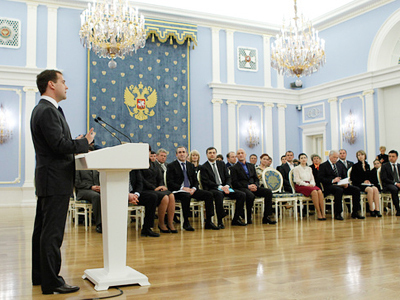 President Medvedev is confident that in recent years Russia has achieved progress in creating conditions in the country to form the rule of law as well as in making the legal system more efficient. 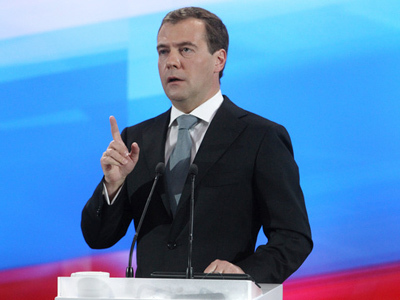 “The court is the foundation and guarantee of the rule of law,” Medvedev said. Respect for law and protection of citizens’ rights and interests are impossible without an efficient court system. “In that field, I believe, there have been changes in our country and the legal system has become more transparent and open to the community,” he observed. The president also announced that on Friday he had signed a decree on monitoring of law enforcement in Russia. The document provides for the participation of the government, courts, prosecution, civil institutions and media in the monitoring. Speaking at the forum, the head of state also said that Russia might introduce changes into the system of appeal of court decisions, which will also have an impact on the procedure of enforcement of international courts’ decisions. The president’s comments followed the speech of Secretary-General of the Council of Europe Thorbjørn Jagland, who suggested that Russia should reconsider its legal procedure in cases referring to rights guaranteed by the European Convention on Human Rights. He said that final decisions on such cases should be made by federal courts rather than courts at a regional level. 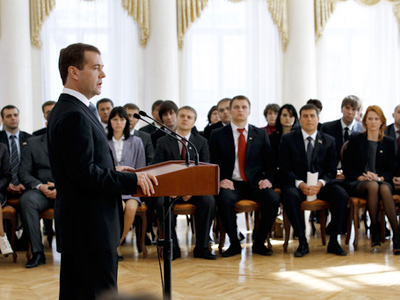 Speaking at the event, Medvedev called for fully-fledged international co-operation in fighting terrorism and warned against double standards that hamper efforts in battle against this common enemy. “We need modern methods in countering terrorism, we need fully-fledged rather than fictitious co-operation, not only between heads of states…but also between legal structures, special services and courts,” he said. Only in that way can the international community achieve progress on the matter. He stressed that solidarity is crucial in the issue of fighting terrorism and it is unacceptable to use double standards. Medvedev recalled that for years Russia had been trying in vain to convince its Western partners that Al-Qaeda was operating in the Caucasus. The issue of the planned European missile defense – lately a stumbling block in relations between Moscow and the West – has also been raised at the session. 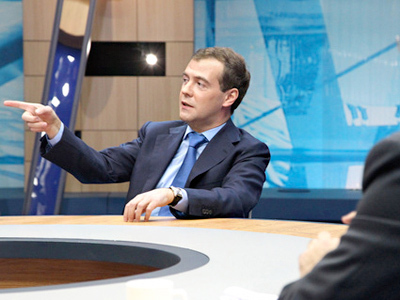 According to Medvedev, if the sides fail to come to a compromise on the issue, the continent risks going back to what it was in the beginning of 1980ties. “I do not want to live in such a Europe. I hope you don’t either,” he added. Russia was invited to co-operate with the West in the creation of missile defense shield in Europe back in November last year, during the Russia-NATO summit in Lisbon. Moscow agreed to participate in the program but only as an equal partner. So far, negotiations on the issue have yielded no results. 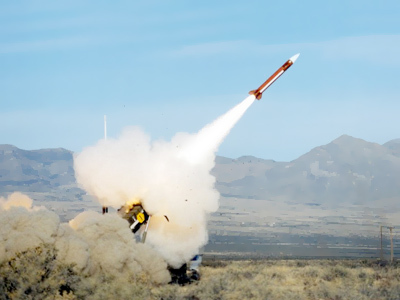 The West maintains that its anti-missile defense will not be aimed against Russia. Meanwhile, the US is planning to deploy elements of its system in Romania, which Russia sees as a threat to its national security. 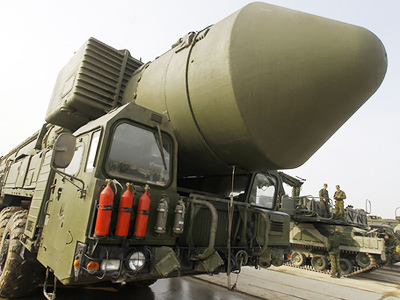 Moscow has threatened to take retaliatory steps up to a withdrawal from the New Strategic Arms Reduction Treaty (START) if Washington keeps further deployment of its missile defense elements. “It must be clear to everyone that anti-missile defense is a way to form blocs or reduce strategic opportunities for many nations. When they tell us, ‘This is not aimed against you,’ I take note of it, but I understand that other nations that are referred to in this case do not currently have the opportunities that Russia has and it is unlikely that they will have them in the upcoming years… And if it’s against us, then they should invite us to co-operate or tell us about it openly,” he said. The president also expressed hope that the sides will manage to develop a model for co-operation in missile defense. 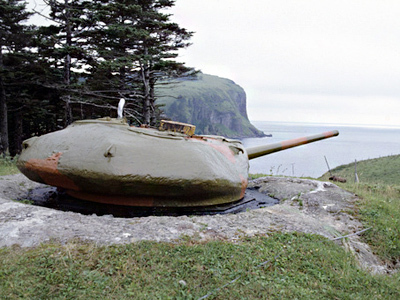 Otherwise, Russia will have to take counter measures. 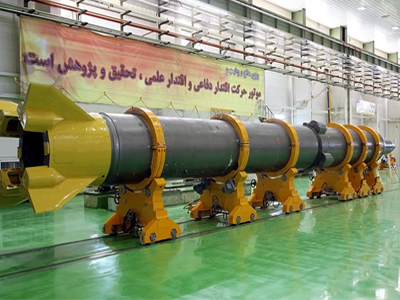 “…and then we will start talking about forcing the development of our nuclear strike potential. This would be a very bad scenario; it would be the kind of scenario that would throw us back into the Cold War era,” Medvedev said. 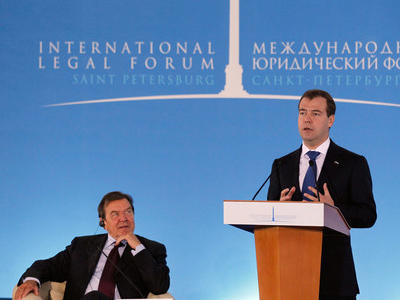 The St. Petersburg International Legal Forum, which is held by Russia's Ministry of Justice under the auspices of the presidential administration, is the first international event of its kind. It creates “a unique platform for the discussion of today’s most pressing legal issues, including the social and economic challenges currently facing countries worldwide,” the forum's official website states. The aim of the event is to bring together leading experts in economics and law to discuss how to make the economic system more efficient in terms of global development. The forum provides a platform for Russian and foreign officials to engage in dialogue with business representatives, which is dedicated to the modernization of the Russian legal system in light of trends in the Russian and the world economies. The gathering is moderated by Germany's former chancellor, Gerhard Schroeder, who is now the chairman of the Shareholders’ Committee of Nord Stream AG – a joint venture that is constructing a gas pipeline which will connect Russia and the EU via the Baltic Sea. Friday's plenary session of the forum is entitled “Law as an instrument of innovative and secure development of the global world”. Among the speakers are Secretary-General of the Council of Europe Thorbjørn Jagland, European Commissioner of Home Affairs Cecilia Malmström,Secretary-General of the Hague Conference on Private International Law Hans van Loon, President of the International Bar Association Akira Kawamura and others. "Responsible politicians make decision based on what is good for their country"